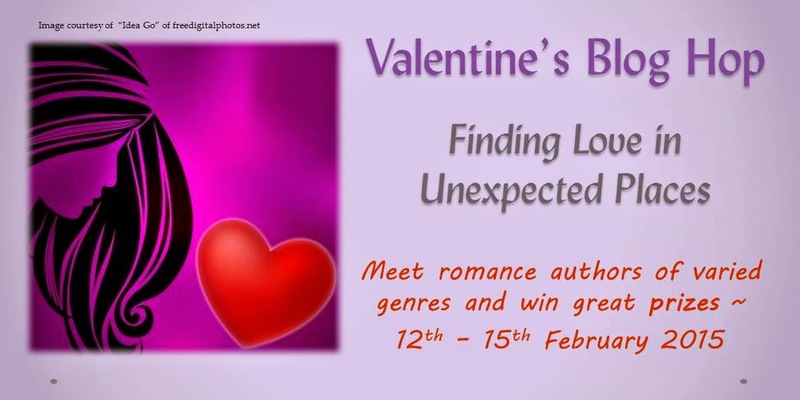 To make Valentine's Day extra special this year, a group of romance authors are joining together to have a blog hop. We're talking about our books and "finding love in unexpected places." And there'll be plenty of prizes to be won! So don't miss out. Possibly more participants to follow. On the 15th, we will announce the winners. We will have one grand prize and several smaller prizes. The grand prize will be an Amazon gift card of about $30 - we haven't come up with the final figure yet. We will also have a handful of smaller prizes of ebooks. And we have one signed print book! You can enter by commenting on the blog posts! The more blogs you comment on, the more entries you get into the competition. Multiple comments on each blog post don't count but you're welcome to comment more than once if you have something interesting to say! So, diarise the dates and join our fun hop!